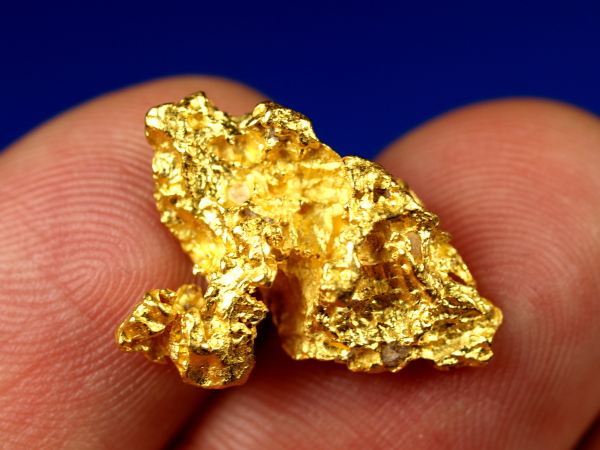 Here is another exceptional piece of natural gold from the famous goldfields near Kalgoorlie, Western Australia. 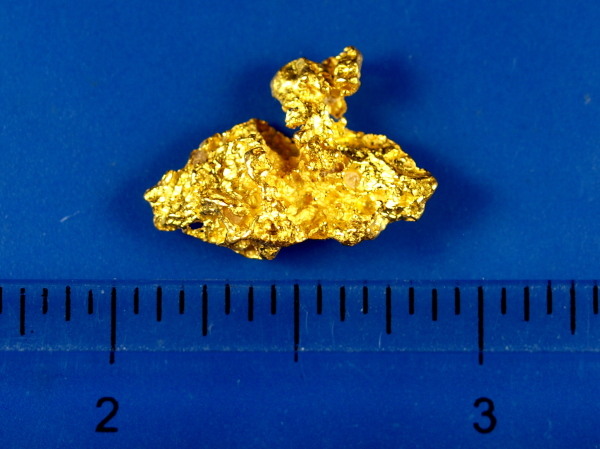 This nugget has lovely bright gold and an interesting shape. A fine addition to any collection. 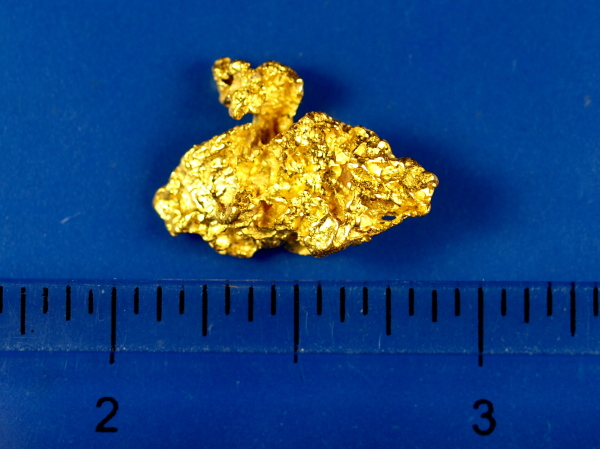 It weighs 4.96 grams.